Nucleus Research has opened submissions for the 2019 Technology ROI Awards at www.roiawards.com. “If you want true insight into the technologies that deliver the most value, study the ten Tech ROI Award winners. They represent the best of the best, showcasing the most successful tech deployments each year,” said Ian Campbell, CEO of Nucleus. 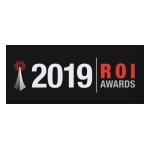 One of the last remaining independent industry award programs, the ROI Awards recognize organizations that have deployed the most successful IT implementations to deliver positive financial and business results. There is no fee for submissions. Nucleus Research assesses the cost and business benefit of technology deployments for each applicant to quantify each project’s ROI over a three-year period. Awards are given to the top ten IT implementations showing the most value per dollar spent. “The ROI Awards are all about hard numbers, not hype. They’ve become a highly accurate barometer for real industry trends, from the explosive ROI early cloud computing adopters experienced to the rise of analytics. We are just beginning to see solid use cases for machine learning and AI, showing that this tech is starting to mature and finally delivering true value,” said Campbell. Qualified projects must have been installed and in operation for at least six months from the date of submission. The top ten IT implementations, showing the greatest ROI, will be announced in June 2019.